Dog bites can be extremely serious, especially if they happen to children. They can even be deadly. A dog who is overly playful or sees a child as a threat will not hold back. Owners must be held responsible for the actions of their animals. One man is now in hot water and a mother in sorrow after her two children were attacked by Rottweiler dogs. The man and the mother are dating and the children were staying at the man’s house while the mom was working. The man let the dogs out of the kennel so he could clean it out. He went into his home for a moment, came out, and saw that the children were being attacked. He helped the children get into a car and the dogs corralled before he took them to the hospital. One of the children, a six year old, had to be airlifted to a trauma center. The dogs are now under the control of the Catawba Animal Shelter. Although dogs have been domesticated for millennia, some breeds are more prone to attack than others. However, that impulse can be curbed with proper training by owners. Unfortunately, two girls are now paying the price for a brief moment of inattention. If you’ve been injured in a dog attack, speak with our attorneys. We will examine your case and see if you might be eligible for compensation. Don’t wait. Call today. When it comes to operating a motorcycle safely, the Governor of North Carolina takes things seriously. So seriously, in fact, that the Governor’s Highway Safety Program and the N.C. State Highway Patrol have partnered to bring riders the BikeSafe North Carolina program. The program is open to motorcyclists and offers a variety of skill lessons and assessments in order to make North Carolina roads and highways safer for everyone. Classes and assessments are offered in Raleigh and other cities across the state. Rider skills days offer assessment on your present motorcycling skills. You can also learn about motorcycle control, factors that contribute to collisions, and professional riding techniques. Classes are offered in Raleigh on March 20, April 17, May 1, May 29, and throughout the rest of the year. A full listing of classes can be found here. One of the best ways to stay safe on the road is to constantly improve your riding skill. Classes are offered both on- and off-road. 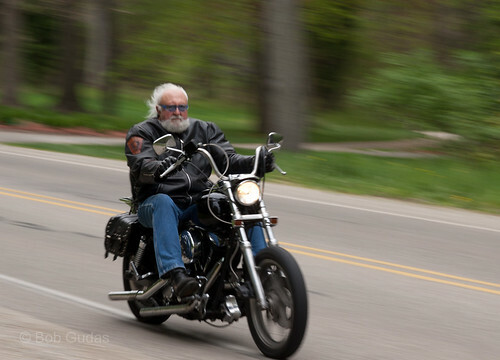 To take part in a class, you need your own registered motorcycle, a helmet, eye protection, current license with endorsement, proof of insurance, and the proper clothing. If there is someone who regularly rides with you as a passenger, feel free to bring them along. They must wear the same protective gear as the driver in order to actively participate. Many people are surprised to discover that the BikeSafe program is free to anyone who wishes to register and participate. The goal of the course is not to raise money for any agency. Instead, the goal is to make the streets safer for everyone, reducing injury and death. It is recommended that riders take a course once a year. This helps every person that operates a bike to sharpen their skills and reduce their chance of collision. If you own and operate a motorcycle, it is in your best interest to register for an upcoming class. If you or a loved one has been injured or killed in a motorcycle accident, our compassionate attorneys can help you. Contact us at your earliest convenience so that we may begin putting together a case for you. We are here to help you get the compensation that you deserve. Call now. Traffic signals are used to control the flow of traffic and provide a safe road experience for all. Decades of study have gone into road safety. But sometimes residents demand for signals that the state is unwilling to pay for. At the border of Huntersville and Cornelius sits a private elementary school on Highway 73 and Norman Lane. Residents have been complaining that the traffic congestion at that intersection is far too high. They want a light installed there before more accidents happen. Eight have happened from 2010 through 2014, one of which was a fatality. NCDOT agreed that the intersection is congested, but they disagreed that a traffic signal will solve the problem. However, they would install one if the two communities would agree to pay the $70,000 price tag for the light. Cornelius agreed, but Huntersville’s city council did not. Huntersville residents are now planning community meetings and have started a Facebook campaign to raise awareness and provide pressure on the town to pay for the light. Sometimes a road is just plain dangerous, whether by poor design, bad repairs, or overcapacity. Communities can take steps like these to make their roads safer. Sadly, a major factor in getting governments to move on these issues is an increase in accidents. If you’ve been in a wreck in a place where there has been a history of accidents, speak with one of our attorneys. Auger & Auger is ready to help you. NEWTON, N.C. – When you send your child to the home of a friend, you expect that your child will be kept safe. It is a reasonable expectation that any parent would have. Unfortunately, that is not how things turned out Sunday afternoon for a Newton mother. According to WSOC, a 6-year-old boy was attacked by two Rottweilers at the home of a Catawba County woman. The woman, a friend of the boy’s mother, was watching the boy when the unthinkable happened. The two dogs attacked the young child in the backyard of the home. Both dogs were seized by officers and taken to the Catawba County Animal Shelter where they will be kept under quarantine. The future fate of the dogs is not known at this time. While pit bulls tend to have the worst reputation when it comes to dog bites, it is important to remember that any dog can and will bite if provoked, knowingly or not. According to the latest statistics, there are the 10 breeds of dog that are responsible for the highest number of bites or attacks on humans. There are just over 2,500 registered pit bulls in the United States. Statistics tell us that 661 children have been bitten, 519 adults have been bitten, there have been 819 maimings, and 159 deaths caused by this breed. There are more than 1,500 registered chows in the country. There have been 35 children bitten, 14 adults bitten, 34 maimings, and 7 deaths caused by the breed. Rotties are a popular breed in the United States with over 14,000 legally registered. There have been 257 children and 115 adults bitten by these dogs that have caused 244 maimings and 67 deaths. Akitas live in more than 2,000 households in this country. 34 children and 14 adults have been bitten by this breed. 41 people have been maimed and one person has died. This breed is typically good-natured and pleasant to be around. That said, there have been 17 children and 20 adults bitten by one of the more than 3,700 registered Bullmastiffs in the country. 26 people have been maimed and 8 people have died. It is important to remember that any dog can go on the attack. Even the best-natured dogs can bite. Dogs and children should never be left alone without the supervision of an adult. If you or a loved one has been bitten by a dog, our experienced dog bite attorneys are here to help you. Contact us as soon as possible for a free consultation. We want to help you get the compensation you deserve. Call now. RALEIGH, N.C. – Early Saturday morning was one like no other for residents along Buffaloe Road. Imagine going to bed for the night, maybe with the television on for background noise, and being awoken to the sound of a tremendous crash. That is exactly what residents were treated to when a pickup truck careened into a row of trees just before 3:40 a.m. The 2008 Chevrolet pickup truck, driven by 40-year-old Luis Servin, went left of the roadway, striking the trees and an embankment before coming to a stop. Police say that Servin was driving impaired. Servin was taken to WakeMed from the scene with injuries that were reported to be serious. No one else was injured in the accident, and Buffaloe Road was closed for approximately three hours while officials investigated the accident. Servin was eventually charged with having no operator’s license, failing to maintain a travel lane, no seat belt, and driving while impaired. If you or a loved one has been charged with DWI in Raleigh or elsewhere in the state of North Carolina, you need an experienced attorney who knows how to fight for your rights. Do not wait to hire an attorney until after you have appeared in court. A lawyer experienced in DWI law can begin to work for you immediately, often reducing the amount of your fines, court costs, and even the time you spend in jail, if any. Do not assume that because you submitted to sobriety tests that you have no defense. When you hire an attorney straight away, you are represented throughout every step of your case. We can look at the facts and help you determine the best course of action. Do not assume that you cannot afford an attorney. Our first consultations are always free and we are up front about our costs. Let us help you and let us do it today. Call now. As winter weather cuts in through the Carolinas, people are looking for ways to stay warm. But some of those ways can cause unintentional injury. A man in Caldwell County has been hurt after he tried a different way to stay warm. The wind had knocked the power out of his house and killed his furnace. Needing heat, he used a propane heater that was meant for outdoor use inside of his home. The propane heater got very hot. So hot that it ignited a second bottle of propane near the heater. It exploded and damaged the walls and roof of his home. Incredibly, the man was able to use a fire extinguisher to put out the flames, then shoot a window and crawl out of the damage before fire crews arrived. He was conscious and able to tell firefighters what happened despite his second and third degree burns. He was taken to the hospital for treatment. Hypothermia is nothing to joke about, but heating your home in unsafe ways can lead to situations like this. If someone else has been injured in this explosion the man could have been held liable for compensation. More layers or going to a warmer location might have been better solutions. Be safe this winter season and stay warm. This has been a message from Auger & Auger. Auger & Auger are proud supporters of Mothers Against Drunk Driving (MADD) and their efforts to eradicate drunk driving across the state of North Carolina and the nation. We stand behind MADD’s efforts to support victims of drunk drivers in a way that only the group can do. If you or a loved one have been the victim of a drunk driver, MADD can offer support to you and your whole family in a variety of ways. Victim advocates will work on your behalf to help you get the financial assistance that you may be eligible for as a crime victim/survivor. The benefit is available in every state in the nation, though some requirements for eligibility vary. The compensation that you qualify for may also include survivor benefits if your loved one was killed in a DUI accident. MADD produces and distributes a wide variety of literature that can help victims deal with grief after a DUI accident. Literature can help victims cope with injury, death, and the court system. The group offers age-appropriate brochures that can assist parents in helping their children deal with the aftermath of a collision. MADD also has literature available that deals with intervention and facts about alcohol and drug abuse. For some people, healing comes in the way of sharing their stories and reading about the stories of others. MADD offers this service on their website. Survivors can virtually meet others who are dealing with the same emotional turmoil that is the aftermath of a DUI crash. If you have been the victim of an accident due to someone’s impairment, please visit the MADD website for more information on how to manage your mental and physical health. There is no shame in seeking help from others as you navigate through this difficult process. If you or someone you love is the victim of a car collision, let the experienced attorneys at Auger & Auger help you through the difficult process. We can put you in touch with professionals and volunteers who can help you family through the emotional healing process, and our compassionate DUI accident attorneys will help you as you move through the court system. We are here for you. Please call us today so that we may begin working on your case. First consultations are always free. Call now. Back in 2013 there was an accident at the Coca Cola 600 at Charlotte Motor Speedway. To film the races, cameras are mounted on rope structures above the crowd. To keep the camera steady, these ropes are under very high tension. One of those ropes snapped and sliced through the crowd. It injured ten people and caused a panic in the stands. Some of the rope and the camera had fallen onto the track and they were worried that a car would carry it along and cause more havoc. No drivers were injured but several cars were damaged. Three of the injured people had to be taken to the hospital. It was later determined that it was a FOX Sports camera that landed on the track. Now a man is suing FOX Sports Productions, the speedway, and Speedway Motorsports for negligence. He said the rope wound around his arm and caused permanent injuries. Sometimes the full effects of an injury don’t become apparent until much later after an accident. The insurance company may have settled with you already, but further medical care is needed due to later complications. In these cases, it may be necessary to turn to the civil court system for compensation and to the services of an experienced personal injury lawyer. If you’ve been injured in an accident, you need to call Auger & Auger about your case. Our skilled attorneys are ready to listen to your story and help you get the money you deserve. Don’t suffer in silence; let us speak for you. Being involved in a car accident is an emotional experience for anyone. For pregnant women, those emotions can be heightened as worry about the unborn child becomes all consuming. Not only does a pregnant woman need to be concerned with damage to her vehicle and her own injuries, but she needs to worry about the health of her unborn child. If you are pregnant and involved in a car accident, your first priority should be to seek medical attention. You can worry about insurance agents and auto accident attorneys later. When you are in an auto collision, you are subjected to a sudden stopping motion. This may be caused by your seat belt locking or from impact with the steering wheel or airbag. Even if you do not strike a surface, the jostling to your body can be enough to harm your child. If any of these injuries happens to you due to a car collision, a personal injury attorney experienced in auto accident litigation can help you file suit against the other driver. When you have been involved in a car accident, it is important that you seek medical attention immediately, even if you do not believe that you or your child has been injured. This is especially true if you are beyond your third month of privacy as the baby is no longer protected by the bones of your pelvis. When you are involved in a car accident, you will find it necessary to file insurance claims, claims for damages, and claims for personal injury. Your first priority, however, is the health of your unborn child. Let the paperwork come later. The health of yourself and your unborn child are the most important things after an accident. When it is time to file paperwork, our attorneys are happy to work with you in any way that you need. Call us for a free consultation after you have taken care of yourself. The cold will be rolling in to North Carolina this week thanks to winter storm Neptune. Unseasonable lows will mark the beginning of the week warns the National Weather Service. It is expected that Monday will be cold and Tuesday even colder. The low temps may bring a bout of snow and ice on their heels. 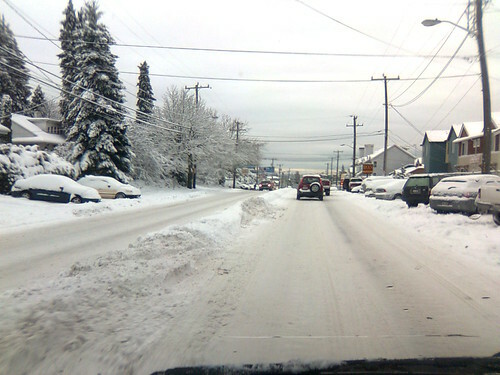 Winter-slicked roads are a hazard for any driver, but are especially dangerous for people who live in areas of the country that aren’t known for harsh winters. Here are some cold-weather driving tips for all of us here in North Carolina who aren’t typically forced to drive through snow and ice. People who have to go to work and even school may not have the luxury of staying home, but if you can avoid going out, do so. The fewer people on the road, the safer driving will be for those who must brave the weather to get where they need to go. Your car does not perform the same on ice and snow as it does on dry pavement. Slick roads make stopping quickly difficult to say the least. Ignore the old-standby of keeping a car length between you and the car ahead of you. Keep three or four car lengths between you instead. If your car is not equipped with an anti-lock braking system, tap the brakes gently before you get to an intersection to get a feel for the traction on the road. If your car does have an ABS system, gently squeeze the brake and let the system do the rest. Knowing how to brake on slick roads can keep you from careening into the middle of an intersection. If you start to skid on the road, do not slam on your brakes. Instead, let off of the gas and steer your car gently in the direction you wish to travel. This is easier said than done as most people panic when they begin to slip and slide. Do your best to not make any quick or harsh movements. Your chances of being involved in an auto collision during winter weather are greater than any other time of year. Keep your wits about you as you head out on the road this week. Keep your speed down, stay well behind the car in front of you, and don’t forget to turn your headlights on – even during the day! If you have been injured in an auto accident any time of year, the experienced lawyers at Auger & Auger are here to help you. Give us a call today and we will speak to you at no cost. Let us help you get the compensation you deserve.